What’s a terrific housewarming or hostess gift? A way for your family to transition away from paper? A set of four (4) cloth dinner napkins! This project utilizes an innovative corner template designed by Tess to help you make neatly stitched mitered corners with a 1″ hem, every time! 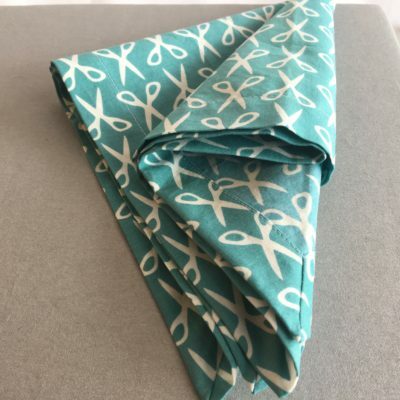 Kit includes pre-cut organic cotton to make four 18″ dinner-sized napkins.